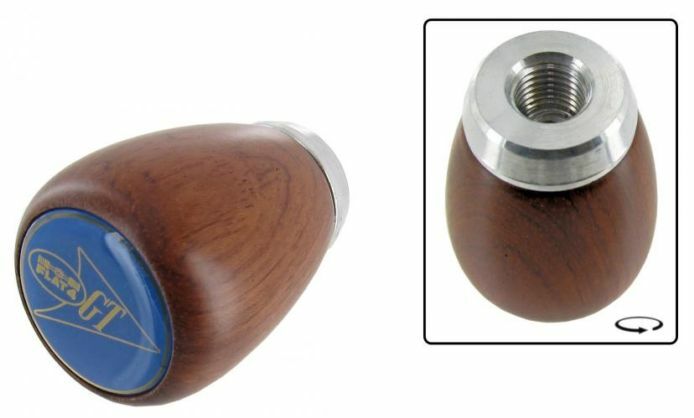 Shift knob rosewood Flat 4 GTV emblem thread size: 7 and 12 mm. These high quality gear knobs are available with two different logos, the original wolfsburg emblem or a reproduction of the EMPI GTV emblem. 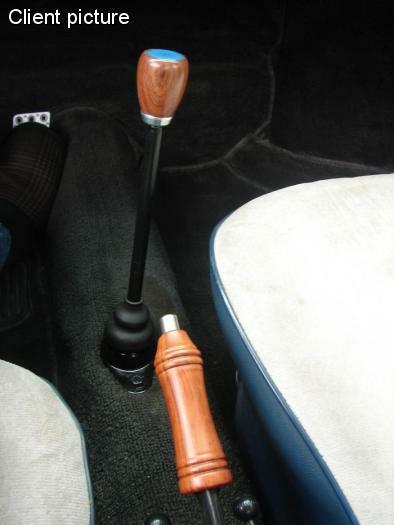 The latter gear knob was in America in the seventies stan dard supplied as an EMPI GTV package by the dealer showed assemble. Since this is a reproduction is the name EMPI replaced by the brand FLAT 4.